“When it comes to fighting wasteful Washington spending and parochial politics, nobody has done more to advance the cause of freedom than Jeff Flake. Nobody. “Jeff Flake has fought a lonely battle against earmarks for years, even when it meant standing up to members of his own party who refused to stop pork barrel spending. Without his leadership, House Republicans would not have adopted the earmark moratorium last year. The SCF is dedicated to electing strong conservative leaders to the United States Senate who have the courage to fight for the timeless conservative principles of limited government, strong national defense, and traditional family values. Jeff Flake has also received the endorsements of several leading conservative organizations and leaders, including Maricopa County Attorney Bill Montgomery, Arizona Right to Life, the Club for Growth PAC, FreedomWorks PAC, the National Taxpayers Union Campaign Fund, Arizona Sportsmen for Wildlife, Governor Bobby Jindal, Congressman Paul Ryan, and Senators Pat Toomey and Mike Lee. While the racism industry continues to employ the language of racism against Republicans and Conservatives, they ignore Sudan President Bashir’s encouraging of the use of ‘slaves” and ‘descendents of slaves” to dehumanize the people of the new nation of South Sudan. As bitter-clinging to denial about defeat as Britain was in 1812 against the new breakaway nation America, the historically slaving Khartoum government in order to stay in power, to deflect from their epic fail of greedy, cronyism mis-governing that they lost a third of a country, is unleashing the same sort of marginalizing, mob-enraging, racism-based rhetoric employed by agitators like Al Sharpton and echoed by Bill Maher to enflame Sudanese to rise against a people a number of them actually once owned as slaves, consider to be slaves and descendents of slaves, stoking elitist fury against the black, mostly rural, poor, but uppity South Sudanese who refused to accept the Official Narrative, a narrative spread unquestioningly by all the world’s media, that they didn’t “deserve” to be independent, that they “don’t possess the ability” to self-govern, they didn’t “know what was good” for them, a people who were “stupidly voting against their own interests,” that Khartoum told the world was a “failed state” before it became a state. The racism cacophony blaring out of the sophisticated and state of the art mass American media mouthpieces resounds with that tail wagging the rest of the word: “phony.” Out of the strange artificial bubble of narcissist American self-gazing, when The Official Narrative is compared against the reality of the world beyond our borders, it sounds not like truth it pretends to be, but like the screech of well-manicured, glitter-glued fake fingernails across a chalkboard. Who of the racism-mongers wants to mention much less explain why South Sudan declared a national holiday to celebrate Republican George W. Bush’s re-election? While the celebrities were crying “no blood for oil” in Iraq, President Bush came to the aid of the South Sudanese in their darkest hours of war and destruction, when no one would help them, while Khartoum was bombing them, paying and sheltering their useful proxy warlord Joseph Kony to live in a mansion in the South Sudanese city of Juba while his LRA slaughtered South Sudanese villages and kidnapped South Sudanese children … while American racism-mongers were too busy calling the Republican George W. Bush a racist to notice or care about Bush interceding in a murderous civil war. A war waged against 8.9 million Africans who refused to be slaves, an under genocide-sieged Black African population greater than the African-descended portions of the populations of New York City, Chicago, Philadelphia, Detroit, Los Angeles, Washington, DC, Houston, and Sanford, Florida combined. Al Sharpton and Bill Maher use their media positions to accuse oppression and racism against ordinary and decent Americans all day long, ignoring the long years of unheralded and cooperative efforts of thousands upon thousands of conscientious Americans of all political persuasions to help the South Sudanese. They then go home to eat nice meals, watch themselves on TV to relax, then sleep secure in soft beds in nice homes. In the morning, mainstream Americans who gave years of their time and their money to help a people they didn’t even know, but felt compassion for, wake up slandered, while the hungry citizens of South Sudan today wake up off their thin mattresses and tattered mats to explosions and flames, death raining down from the sky, more unwanted gifts from their emboldened former government which either killed them outright, starved them slowly or enslaved them, leaving a country with the world’s highest percentages of widows and orphans. The racism industry has nothing to say about that, the media simply doesn’t report it… it interferes with the self-focused, divisive narrative. In the cynical and claustrophobic world of the racism-mongers, America is worse. The South Sudanese can’t afford right now to pay anyone to like them, so the professional racism and oppression organizers who could mobilize international pressure to help them, apparently aren’t interested. Author’s note: The South Sudanese Diaspora community in Arizona is significant enough to have Phoenix designated as one of the few international voting polling centers for the 2011 Referendum for South Sudan Independence. Luis Acle seeks the Republican nomination for US Senate from Arizona 2012 with his “Solutions not Talk” campaign. Yuma resident, Luis Acle is seeking the Republican nomination for the U.S. Senate seat now held by Sen. Jon Kyl, who is not running for re-election. Luis Acle wants to demonstrate that a Republican Latino can appeal to all types of voters who prefer real “solutions not just talk” while reaching out to traditional values minority voters to look to the Republican party where they can be received with open arms. 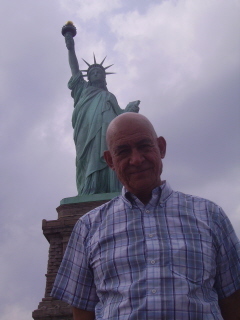 Luis Acle moved to Yuma over ten years ago to work on industrial development and property management in the border region. As a teacher, school board member and as an international consultant and volunteer, he also sought to improve infrastructure in Arizona. In 2011, he served on the county’s, Reapportionment Advisory Commission and he is currently a member of the Yuma city’s Water and Sewer Commission. Voters get frustrated with candidates that simplify the issues “We need jobs” or “We must secure the border” but they offer no Solutions, just Talk. “I want to be your voice with real solutions to the Nation’s problems that reflect our values, not just sound bites and empty rhetoric”, Luis Acle stated emphatically. Luis Acle is confident voters will value specific, tangible and workable solutions above party connections or political correctness and wants to persuade voters in the coming weeks that his solutions are the proper fit for Arizona and the United States, in this critical election cycle. He will meet with voters to present creative solutions for the most pressing problems such as, chronic unemployment, long term national energy policy, achievable immigration and public education reform. Thirty-second sound bites won’t do: real solutions need more time to attract bi-partisan support. The strength of Luis Acle’s solutions comes from his analytical training as a physical scientist with a Stanford MBA, plus public policy experience. Although, not a Washington insider, he understands how to function in DC to attract bipartisan support, said campaign spokesperson, Howard DeLaCruz-Bancroft. Luis Acle said that while Democrats controlled Congress and the White House, vital issues such as long term growth, national security, energy policy or immigration were not resolved. Even unemployment, despite promises that it would never exceed 8% didn’t materialize, especially here in Arizona. Luis Acle’s prior involvement in the public sector includes an assignment in every decade since graduate school. In the 70’s, he was invited to join the staff of the Assistant Secretary of Health, Education and Welfare, eventually becoming Finance Manager. He was appointed White House Associate Director of Public Liaison during the Reagan Administration. Luis Acle was also an advisor to the Immigration and Naturalization Commissioner. In the following decade, he was elected, with over 150,000 votes and served as President of the School Board in the San Diego Unified School District for three terms. Luis Acle invites all voters to join his “Solutions not Talk” campaign by downloading and signing his Petition, to obtain the nearly 7,000 signatures to get on the ballot. Contact us at www.luis4ussenate.com, at Luis4USSenate@gmail.com or call (928) 550-2881 to register or re-register, to sign the Petition or get help with registration and remember to please vote for Luis Acle in the U.S. Senate Republican Primary. Is Wil Cardon Outsourcing His Friends? PHOENIX – Wil Cardon, Arizona’s millionaire self-funding Senate candidate purports to have created hundreds of jobs. Perhaps he’s being modest in not counting the 5,398 fans that he has on Facebook. Love it or hate it, Facebook recently changed its look. One the changes in the new Timeline feature allows people to view the “page insights.” Wil Cardon’s Facebook page insights reveal something interesting: the city where most of his page fans reside. For Jeff Flake it’s Phoenix. Richard Carmona it’s Tucson. And for Wil Cardon it’s Dhaka, Bangladesh. With a quick search on Google, it’s easy to find websites like “buylikes.com” and “buyfacebooklikesfans.com” that promise to increase friends, fans and likes, all for a fee. Of course, it may be impossible to know for certain if this is what Wil Cardon has done. A screenshot of Cardon’s page, taken April 26, 2012, is attached. Phoenix, Arizona – Congressman Jeff Flake has traveled the world and enjoyed lavish vacations thanks to his Washington special interests and lobbyist buddies. On Tuesday Wil Cardon, Mesa businessman and Republican candidate for U.S. Senate, unveiled his latest web video detailing Congressman Flake’s posh worldwide travel paid for by Washington lobbyists and special interest groups. Cardon has also launched a new website, www.DCFlake.com, which will house all things related to Congressman Flake’s dismal record in Congress. While most of Congressman Flake’s record has been fighting for amnesty, pushing cap and trade legislation, enjoying taxpayer perks and living the high life with his insider D.C. status, it is clear to Arizona that Congressman Flake has Potomac Fever! Jeff Flake says he’s watching out for Arizona families, but in Washington he is beholden to lobbyist and special interests. For documentation and to try to get an explanation, call Congressman Flake at 602.845.0333. Today’s hearing went well. The Obama Administration took the outrageous step of suing one of the 50 states for trying to enforce federal law. Arizona has been hit disproportionately hard by illegal immigration and the state had no choice but to pass SB 1070 to protect our own citizens. I have read the transcript of today’s SB 1070 hearing in the US Supreme Court. Section 2, the most important of the 4 sections of SB1070 which are being challenged, appears to have the support of Liberal as well as Conservative Justices, and mainly with a large unanimous vote. Section 2 requires Police Officers to engage in a lawful arrest or stop, and to have reasonable suspicion, to inquire with ICE about whether the person is in this country legally. Even two of the most Liberal Justices, Sotamayor and Breyer, asked questions indicating they may vote to hold that section of the law Constitutional. The lawyer for Arizona pointed out that a Phoenix Police officer had been shot by a suspect who had been accused of attempted murder in El Salvador, had been pulled over three times before encountering this police officer, but had never had his immigration status checked. That was due to the City of Phoenix policies that would be illegal under Section 2. Had inquiry been made before he encountered the Phoenix officer, that officer would not have been shot. Finally, I was gratified to see that even the Obama administration lawyer agreed with Chief Justice Roberts’ contention that this case has nothing to do with ethnic and racial profiling. SB 1070 has never allowed racial profiling, and that is a persistent myth that should end today. PHOENIX, Ariz., April 25, 2012 — The Arizona Secretary of State today received transmission from the Arizona Legislature of a crucial ballot referendum designed to spur new job creation and economic development. The state constitutional amendment, called the Small Business Job Creation Act, is positioned to be on Arizona’s November 6, 2012 General Election ballot as Proposition 116. “Arizona’s small business job creators have heard loud and clear from their state legislators that help is on the way to rollback the job-killing equipment and machinery tax,” said Farrell Quinlan, state director for the National Federation of Independent Business who drafted the referendum with Senate Majority Leader Andy Biggs and other lawmakers. “The heavy tax burden we place on small business’ equipment and machinery is self-defeating and anti-growth because it punishes the very investment in job creation that Arizona needs to fuel our economic recovery,” Quinlan said. The Proposition 116 referendum, enumerated Senate Concurrent Resolution 1012 in its legislative form, seeks to amend the Arizona Constitution to reset the personal property tax exemption for new equipment and machinery purchases to an amount equal to the earnings of 50 Arizona workers, approximately $2.4 million. The current constitutional exemption is $50,000 indexed to inflation since 1996 or $68,079 in Tax Year 2012. “We are very encouraged about Proposition 116’s ultimate success at the ballot box due to the unanimous bipartisan support it received from legislators. It’s a real testament to the soundness of this public policy proposal that every Republican and Democrat lawmaker voted for it. Proposition 116 proves the adage that good policy makes for good politics,” Quinlan concluded. The unanimous legislative support for SCR 1012 is a rare example of bipartisan consensus from the contentious and often bitterly partisan 50th Arizona Legislature. The Arizona Senate passed the legislation 30-0 on February 16, 2012 and the Arizona House of Representatives passed it 51-0 with eight absent and one vacancy on April 23, 2012. Proposition 116 must garner 50 percent plus one vote of those voting on the measure this November to amend the state constitution. If passed, the new provisions will affect personal property purchased in 2013 and thereafter while personal property already on the tax rolls will remain unaffected. According to state law, the Secretary of State will make official the designation of the Small Business Job Creation Act referendum as Proposition 116 after the petition filing deadline passes for citizen initiatives on July 5, 2012. The Secretary of State is required to assign numbers to propositions in the order the measures are filed with their office. SCR 1012 was the third referendum filed for the 2012 ballot following the two measures sent by the Legislature in 2011 that will be designated Proposition 114 and Proposition 115 respectively in accordance with statute. NFIB has already begun organizing a campaign committee to support the passage of Proposition 116. Those interested in joining that effort should contact NFIB’s Arizona office at (602) 263-7690 or send an email to farrell.quinlan@nfib.org. NFIB is the nation’s leading small business association with 350,000 members nationwide and 7,500 in Arizona and has offices in Washington, D.C. and all 50 state capitals. Founded in 1943 as a nonprofit, nonpartisan organization, NFIB gives small and independent business owners a voice in shaping the public policy issues that affect their business. NFIB’s powerful network of grassroots activists send their views directly to state and federal lawmakers through our unique member-only ballot, thus playing a critical role in supporting America’s free enterprise system. NFIB’s mission is to promote and protect the right of our members to own, operate and grow their businesses. More information is available online at www.NFIB.com/newsroom. PHOENIX – Jeff Flake, a conservative candidate for the United States Senate, today announced the endorsement of Maricopa County Attorney Bill Montgomery.